We are manufacturers of the finest quality veteran and vintage motorcycle mudguards and fenders. 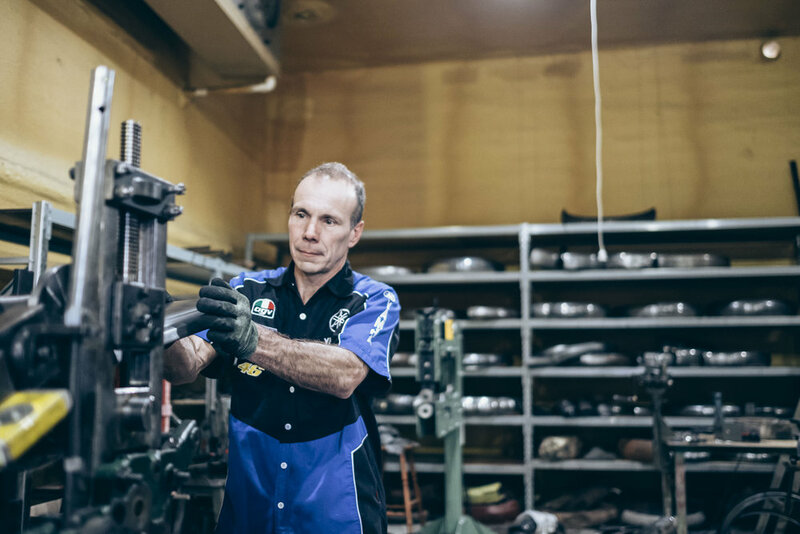 We manufacture at our workshop in Donnybrook, Western Australia, making mudguards and fenders for most American, British, Australian and some European motorcycles. We make all our guards by hand from a flat sheet by traditional methods, much as the original makers did. All our guards are made to order, so we can customise any guard to your specific needs. With over 100 sets of form rollers and dies we produce guards and fenders that, when completed, are practically ready to paint or plate. We make guards for Triumph, Harley Davidson, Vincent, Indian, BSA, BMW, AJS, Norton, Flying Merkel, Cleveland, Reading Standard, Ace, Ariel, Matchless, Pope, Yale, Carbine, Royal Enfield, Brough Superior, and many many other manufacturers. 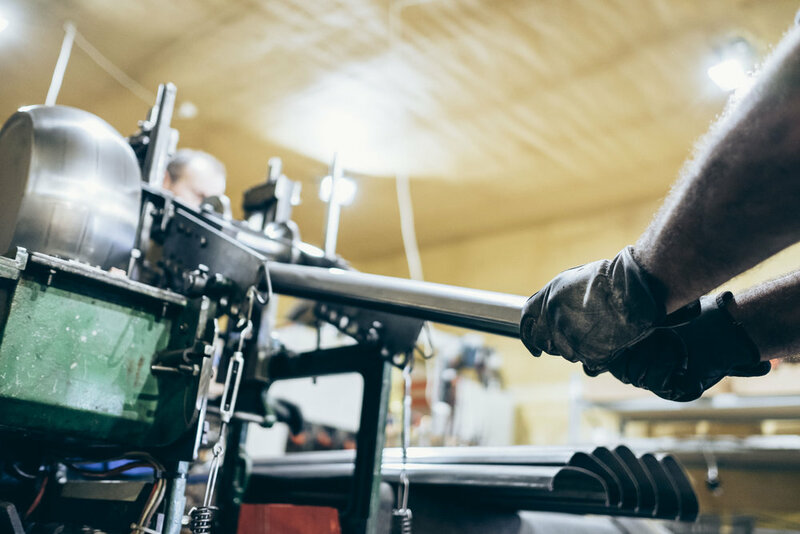 Guards and Fenders can be supplied as unfinished blanks, semi-finished, or in most cases, as fully finished products with ribs, shaped ends, valances, brackets, pressings and cut-outs as exact copies of the originals. 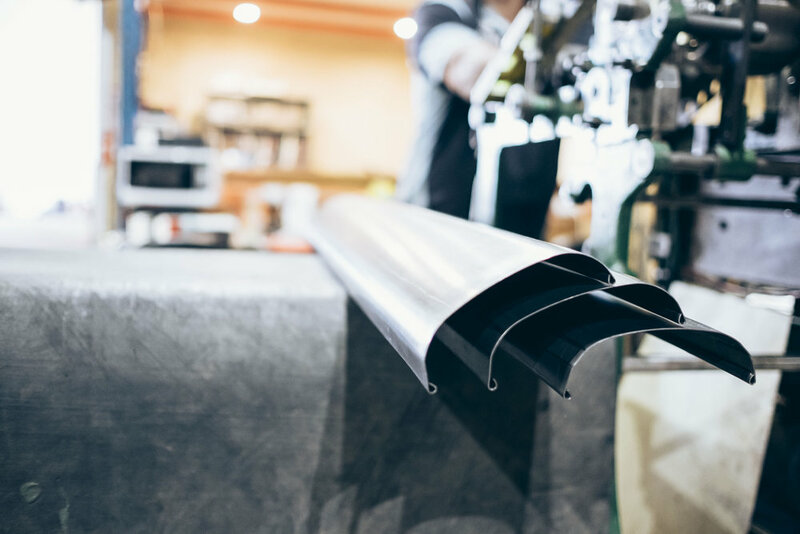 With valance templates for over 180 different models, we manufacture and fit valances and skirts using either a roll seam joint, rivets, bolts or spot welding, just as the original manufacturers did. In many cases we can custom make steel and alloy guards to suit custom bikes and even hot-rods. 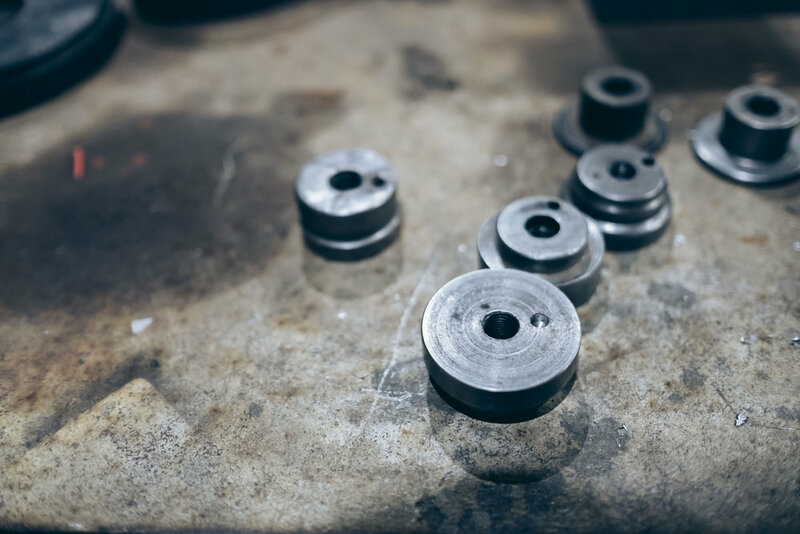 We have made guards for machines ranging in age from over 100 years old through to brand new. Business Partners, Andrew Repton and Michael Rock are both long term collectors, restorers and riders of vintage and veteran motorcycles so our guards are made for enthusiasts by enthusiasts. Both have collections including British, American, Japanese and European bikes from 1910 to modern.